This right there is my favourite thing about this sport. The friendships you make and the wonderful people you meet are nearly too good to be true…only it’s all real. Jhonny coaches a group of talented students at night at Praxis Academy. His classes are well structured, very organised, disciplined, but also super fun and friendly. 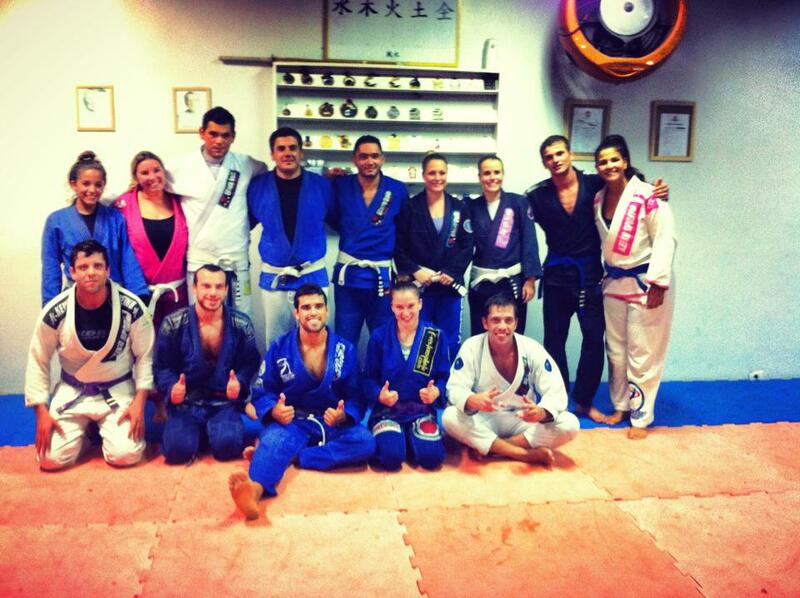 I had some great rolls with white and blue belt girls, and my only regret was that I wished we had more time there. 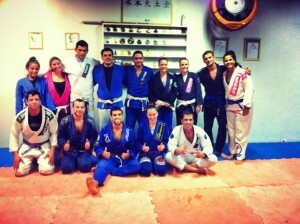 Our lunch classes were spent at Mario Reis’ Academy, with many black and brown belts on the mats each day. I was so happy to also have Monique to train with (or more like Monique to smash me) and also two extremely good blue belt girls – Thanise and Gessica, who I have met and trained with at Alliance in SP previously. I loved the drills we did for an hour every class, it made it obvious why all of Mario’s students are so smooth and technical. I took away a lot from our time there and again am touched by Mario’s hospitality. With our bodies and brains totally exhausted from a tough 6 week training block, 3 competitions in the last month and training twice a day every day, it was time to relax for a few days. I couldn’t wait to not feel like a zombie, for my ribs to stop hurting just with breathing and for my fingers to calm down enough to be able to shake people’s hands without flinching from pain. We headed off to Praia do Rosa in Santa Catarina for 4 days to recover before going back to Sao Paulo and training at Cicero Costha’s. Too exciting!